Have an adventure of a life time. Go and explore with a partner, friend or solo! 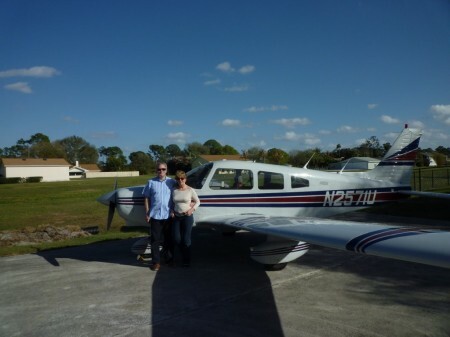 “What an amazing experience renting a plane from Pilots Paradise – N8441H Piper Archer took my fiance and myself across USA from Fort Pierce to El Paso Texas, up to Sedona Arizona and back through San Antonio, New Orleans, Pensacola and St Augustine.” Anna and Rohan. We are one of the very few companies to provide this facility with no booking out or sharing – the aircraft is all yours. You are free to explore as you want and stay down-route as you wish. Use your aircraft like a hire car and fly to the beaches, fly-in restaurants and Florida Attractions. For non-flying activities and partners there is private pool access for sun bathing, a golf resort, shopping, beauty salons and fine dining all in Sebastian which is 5 minutes drive away from the Villa home. So whether you love flying or not there is something for everyone. 7 hours (dry) exclusive PA-28 Warrior use (Extra hours only $70/hr dry). Pilot Check-out (2 of your 7 hours). Villa with private pool in our 3 bedroom house minutes from the Airport and Sebastian (if required). ‘How to Fly in the USA’ brief. Access to our FBO facilities. Fuel approx. $25-30/hr (paid en-route). Insurance $330 (paid before arrival lasts for 6 months). FAA examiner sign-off – $50 cash (if you require a new FAA licence). Extra hours $70/hr dry (+ 7% local tax on extra hours outside of original package). PA28 180 Archer upgrade – $15/hr. Food – Flights to USA – Hire car. Hold an FAA licence (Plastic Card) OR FAA verification letter. Be current on a PA-28. Have a check out with our instructor (included). 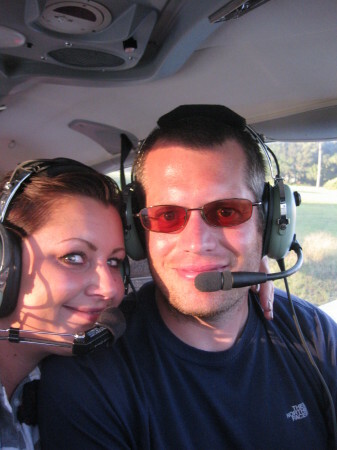 My wife and I have just experienced the most amazing flying holiday courtesy of Pilots Paradise. We had been looking forward to our vacation for so long and it far surpassed all of our expectations. The booking, licence and insurance processes were all made very clear by Oli and he was very quick at responding to any queries that we did have prior to departure. Stephen & Antonia were very welcoming upon arrival at Indian river, where the accommodation was spacious, clean & a great place to relax at the start or end of an adventure packed day. Sitting outside for breakfast watching the variety of aircraft take off right in front of you is a great buzz for any aviation enthusiast. The check ride with Tony was not only very informative and beneficial but his enthusiasm and knowledge of flying is infectious. The aircraft itself was immaculate and well maintained. After this, our week was non stop flying to see as many places as we could manage in 20 hrs. To be able to fly to so many wonderful places; Kennedy Space Centre, Key West & Naples to name a few, in just a week is a complete contrast to flying in the UK. Amazing weather, no landing fees, great fly in restaurants and a system that welcomes GA flying, what a refreshing change! We really did have the most amazing experience that previously we could only have dreamed of. It was so good that we have already booked to return next year and are counting down the days. What more could you wish for on vacation, Pilots paradise most definitely delivered it all! To all at Pilots Paradise – thank you so much for an unforgettable holiday. To say the trip met our expectations would be a huge understatement! We flew 50 hours in 2 weeks and thanks to the Fly-in 1 bedroom apartment and Millie did it in complete comfort. From the beginning booking the trip was a breeze and thanks to the info on the website and guidance from Oli getting all the insurance and documentation in place was stress free, we even got money back from our insurance on return! Despite being delayed on arrival and not making it to Indian River till later at night, Stephen gave us the warmest of welcomes and explained how the check out would work in the morning. Despite the weather being unsuitable to fly for a few hours on the first day, Tony worked around it, got the temporary license issued and took us through everything we needed to know so we were all checked out and felt comfortable very quickly indeed. Thanks to Tony for also being on the end of the phone throughout the trip – his advice and experience as invaluable at times, as was Stephens. We spent our holiday flying a wonderful aircraft (The best example I’ve had the pleasure of flying) and really enjoyed coming back to Indian River every day, the apartment was lovely and spacious and allowed us to relax whilst planning for the next day with ease. With everything we needed on hand we were able to get away early without any rush in the mornings, and with the TV & Wifi we felt the set up was great. I dare not try and list all the things we got up to for fear of forgetting something but as quick as a flash the two weeks were over. Hard to believe we’d flown 50 hours, visited all 4 corners of Florida, had Airboat Rides, met an F-14 legend, flown down to Key West, enjoyed some unforgettable views and even flown down the Shuttle Landing Facility. It truly was the holiday of a lifetime. My parents are already talking about wanting me to fly them around the Bahamas in style, so I think we might have to come back out to fly the Archer from Sebastian! Thanks once again and we will see you again soon. Wonderful week and completed 14.5 hours flying and seen some great places and got sun burnt in the process. If you are a pilot (or even not), Pilots Paradise is highly recomended and thanks to Oli & Stephen for creating a very special place. Plus special thanks to Tony for the check out, really enjoyed that! Our holiday was a unique and very special experience. We booked two weeks in November 2012. Our expectations were fully met. Nice weather and pleasant temperatures. We did a total of 28 hours including a trip to the Bahamas. Pilots Paradise holds what it promises. It is an excellent product for every pilot eager to discover Florida and the Bahamas in total independency and free of any restrictions. Based on a private airstrip, in a cosy home with a nice airplane at your disposal, what more could a pilot dream of? Generally speaking, flying in the USA is very simple compared to Europe. A good command of spoken and oral English however is a must. Radio communication messages are very short and fast, but very efficient. A once in a life time flying experience with the use of the best PA28 warrior I have ever flown, set in very comfortable accommodation. The instructor was brilliant and helped with the USA flying differences. What I noticed particularly was how helpful and welcoming the ground staff were at the airfields we visited. 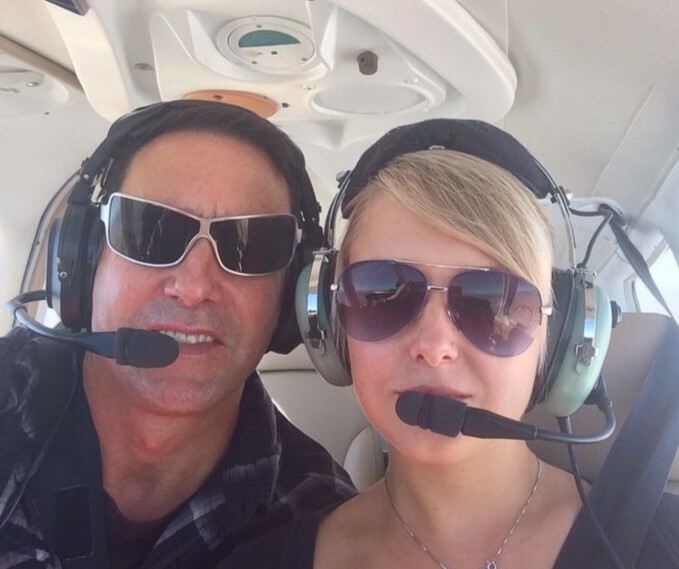 Overall my wife and I had a great time and would recommend Pilots’ Paradise as a unique flying experience. 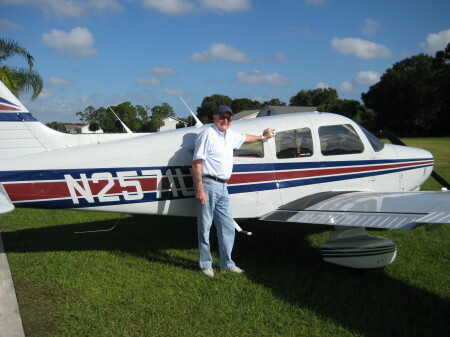 Phil — Flying adventures at 74 years young. 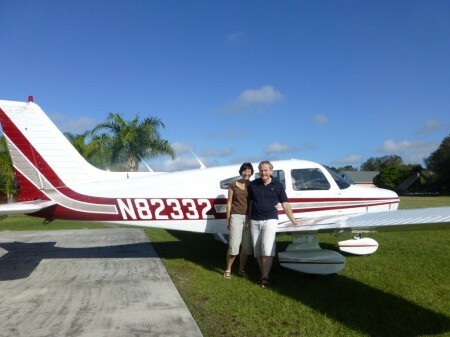 What is a dream for most European pilots is very much a reality at “Pilots Paradise” in Florida. Where the concept of living on the side of an airfield, and having your hanger alongside your home. With your own plane ready to hand, is very much more than a dream. I recently experienced this “dream” on a holiday in Florida courtesy of Pilots’ Paradise. A family concern that encourages one to live the dream, for a fun flying experience or a more serious hour building project, but nevertheless a very satisfying experience. One of those rare occasions when you can say, what you get is what it says on the tin. Exclusive use of one of the best PA28 Warriors I have ever had the pleasure to fly and a superb Studio apartment with an adjacent swimming pool for the nearest and dearest. All in all seven days of pilot heaven, with 11 hrs of pure joy, and another 14 different airfields visited, with further memories of flying in Florida’s weather to add to the memories database. Not a young budding aviator, rather one at the other end of the spectrum, 74 years young, but still catered for as any other would be Florida flyer. A truly £ for £ value flying experience. So many thanks for Oli for arranging it, and Stephen and Antonia for the practicalities of making it happen. Ken — Just another day in paradise. The Keys. We were warmly greeted on our arrival by Stephen who showed us to our excellent accommodation beside the 790m grass strip and adjacent to the hangar. Of the two aircraft available, we opted for N82332 (their latest acquisition) an immaculate, well equipped, 2002 Warrior II and certainly the most modern and best PA28 I have ever flown. 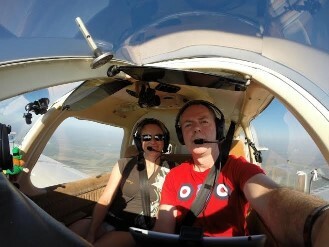 A check ride with Stephen was arranged for the following day. Stephen is a knowledgeable and highly experienced instructor with the ability to put you at ease while pointing out your errors and bad habits yet leaving your ego more or less intact — a skill not shared by all instructors! With the checkout completed, the aircraft was ours for the week — marvellous! Although US airspace classification and VFR communication procedures differ somewhat from the UK, flying in the US is generally very straightforward and with the friendly and helpful attitude of all the ATC with whom we had contact there was never a sense of intimidation, even in busy airspace. The highlight of our holiday was undoubtedly our trip down to Key West. Outbound, we opted for the offshore, low-level route (cleared through the Miami Class Bravo at ‘not above 500 feet’) — an exhilarating experience. At Stephen’s suggestion we stopped at Marathon and had lunch at The Island Fish Company, a beautiful waterside restaurant with excellent food. We spent the night in Key West and flew back the following day, this time at 2000 feet, being vectored directly overhead Ft Lauderdale and Palm Beach International airports — an equally enjoyable experience. Back at Indian River, having breakfast on the patio in the warm Florida sunshine with the aircraft parked a few feet away and another day’s flying in prospect takes some beating. A pilot’s paradise? Well, yes, that just about sums it up! Rob and Zsani — A Slice of Paradise. Having spent several years flying in the UK and Europe it was time to experience flying in the Aviation Paradise that is the USA. What Pilot’s Paradise offers is a chance to experience the Pilot’s dream of living with your aircraft, in a aviation-minded community, in the greatest Aviation country in the world. On arrival Stephen and Antonia settled us in, gave us the tour of the property, and explained how things work. The aircraft check-out was quickly completed later in the afternoon as well as a familiarisation of the local area. The airfield is fantastic, very laid-back and while, initially, it feels a little short you soon get used to it. Flying in the USA is much simpler than the complications of UK/Europe with much less restricted airspace, controllers who will go out of their way to help you through restricted airspace, and a pre-flight briefing service that (in a single phone call) gives you everything you need. The accomodation is perfect for a couple and has plenty of personal touches which make it much nicer than a standard hotel room. Sitting on the patio and watching the local aircraft taking off while eating your breakfast, or enjoying a afternoon post-flying beer, were both highlights for us. The Swimming pool was great for post flight relaxing and being close to Vero Beach ensures a balanced holiday for any ‘non-flying’ partners. The Aircraft is truly immaculate and clearly a cherished family ‘toy’. Web-sites that I found useful are www.skyvector.com (for online sectionals) and www.airnav.com (for airfield info and reviews). I’d highly recommend this as either a great introduction to flying in the USA or just enjoying a flying holiday in a little slice of Pilots’ Paradise. 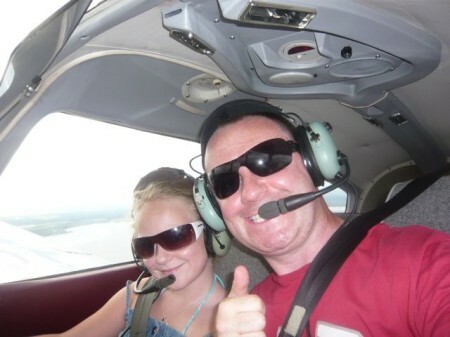 BA Captain, Stu — Back to hands-on flying and teaching his daughter. Having flown large jets for the last 18 years I felt that it was high time I went back to the enjoyment of flying a light piston aircraft again. Upon seeing Oli’s advert I made contact and he sent me the idiots guide to obtaining my FAA licence. 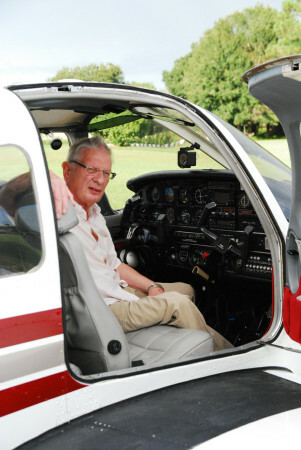 Once checked out in the UK, the CAA and FAA liased and within 3 weeks I had an FAA licence, ready to go. The first hurdle was obtaining the insurance, as most insurance firms deal in 12 month policies, however Avemco was a name provided by Oli and they insured myself and daughter for what we wanted during the whole week. Driving instructions were simple from Orlando Airport and we arrived painlessly about 2 hours after arriving at the aerodrome, a beautiful, idyllic, setting about 10 miles from Vero beach, Oli’s dad settled us into our villa and showed me the aeroplane and the local maps etc. The following day I had a local familiarization with Stephen and we were handed the keys to a very nice example of a Piper Warrior. Not a blemish in sight from what I could see. Coupled with the fact Stephen knew more about flying the warrior and its maintenance than most, I knew it had been well looked after. Our visits took us as far as Titusville to visit the Space shuttle, we flew into Kissimee and hired a car for 2 days to visit Disney/Universal, Airboating on the Everglades took up most of one of the other days, with the rest flying along the beach and sampling the many good restaurants on the various airfields dotted around. As confidence grew I quite happily plucked up the courage to talk to the many excellent radar controllers for flight following, and was amazed at the fact landing fees are free and the very friendly FBO’s who look after you when you land somewhere new. I would highly recommend it to any pilot whether new or experienced, it’s a very affordable way of consolidating your flying, once you’ve flown in and out a few times, short field techniques become second nature, and it certainly won’t feel as short as the pictures show. There is plenty to do for the family nearby and car hire is about $40 per day from many of the airports nearby to explore. Even if you don’t want to fly everyday, its yours to use whenever. We will certainly be back with the intention of flying the ‘Keys’ or further afield, armed with a couple of maps you can explore wherever you like, and it certainly in my case, made an 11 year old want to discover flying a lot more!! 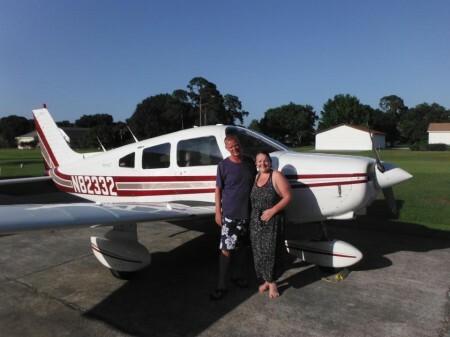 Chris and Patricia — Grass Strip Converts. From booking the holiday to arriving the whole process was stress free. We were airborne within minutes of settling in to the well appointed and comfortable apartment, and we felt most welcome from start to finish. Considering practicalities during the booking process we found renters insurance a must, as it is standard practise in the USA. It could have been rather confusing but after research it turned out that the simplest way of obtaining the correct amount and type of cover was by being put on our insurance policy. We did this by giving Oli (our UK contact) some basic details and he did all the paperwork for us – sorted! I had not flown solo in the USA before and, although current and experienced on light aircraft in the UK, I found the checkout a daunting challenge. 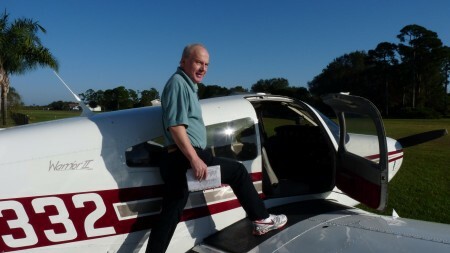 Stephen, the instructor, was quick to put me at my ease with a morning fielding my questions, talking me through the nuances of flying in Florida, and imparting invaluable information. My two hour check ride became a welcome two hour lesson from a highly experienced instructor and I gratefully accepted the offer of another couple of hours instruction with Stephen. 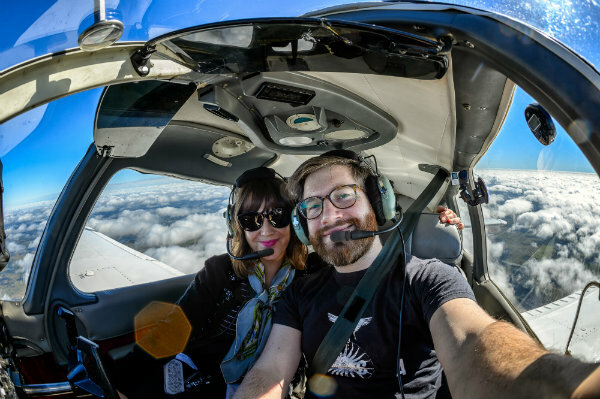 By the end of the flight I was reassured of my capabilities to venture out and explore Florida with my wife who is also learning to fly. We weren’t really sure where would be good to visit. A chat with Stephen and a look at the visitors’ guide gave us lots of suggested destinations as well as route and activity information. Our flights included a memorable visit to Titusville (Space Centre), another to Sarasota, and a good breakfast in Okeechobee. The aircraft was a delight to fly and is one of the best examples of a Warrior I have flown, not your average club Warrior! We thoroughly enjoyed our flying holiday, in fact so much so, that we are coming back again within the year and my wife is hoping to have her pilot’s licence by then. The accommodation was very pleasant and the hosts could not have been more inviting or helpful. I feel this really is an experience that cannot be found anywhere else. To be able to use a well looked after aeroplane, and be guided through flying in Florida with expert instruction, is an unrivalled package. We were thinking about keeping Pilot’s Paradise a secret so that we could have it to ourselves, but that would be denying fellow aviation enthusiasts the holiday of a lifetime.